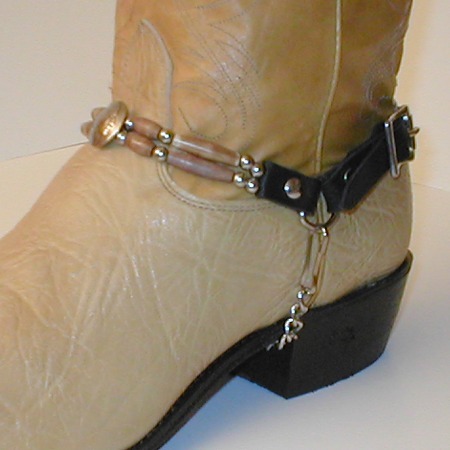 Design your own boot straps with your choice of (3) bead colors and (4) concho styles. Made of Genuine Black Latigo Leather with nickel plated buckle set. Double strand of beads with one Concho. 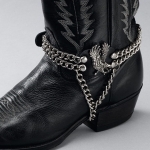 These Boot Straps are beautifully hand crafted with a Native American and biker spirit. 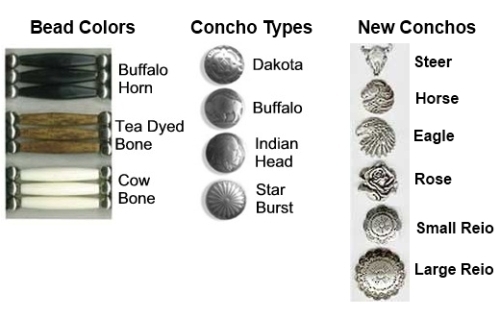 Cow bone, buffalo horn beads, and buffalo head nickels are used. Your choice of a pair of boot straps or a single boots strap for your right boot or a single boot strap for your left boot. A pair of boot straps consists of a right boot strap and a left boot strap. Price shown is for one boot strap for either the left or the right boot. These boot straps are custom hand made per order. Delivery is from 1 to 4 weeks. 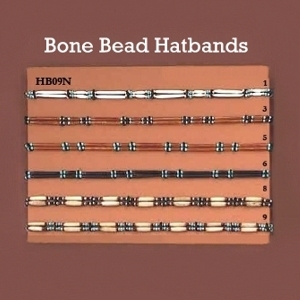 We also have available matching belts, hat bands, boot bolos, chokers, earings, necklaces and bracelets.